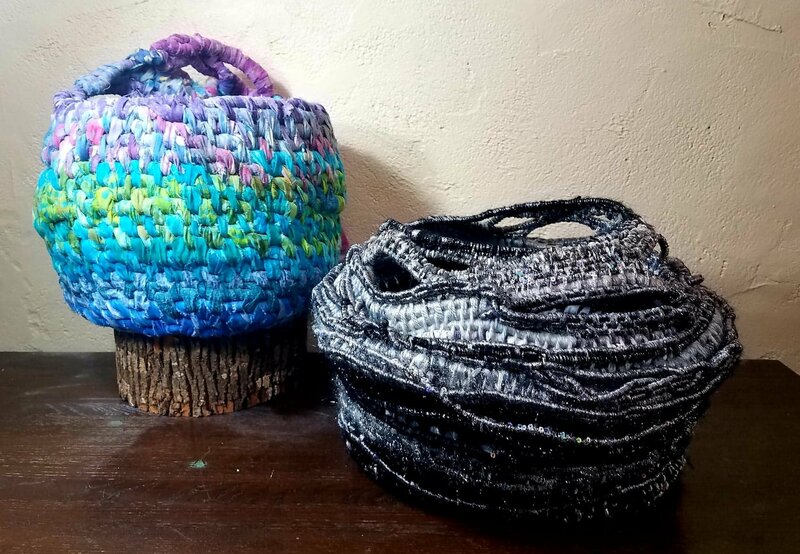 Learn to make unique, one of a kind baskets out of fiber. Students will learn Native American techniques to create a modern piece of functional art. Bring your favorite yarns for design and a size H or J crochet needle which can be purchased from the studio. Includes the basic materials to create the form. Students should bring there favorite yarns for design and a size H or J crochet needle which can be purchased from the studio.